Tuefer Tuesday, but I have two cards for today. using watercoloring and made two more cards as samples. a heart doily that just peeks around the edges. 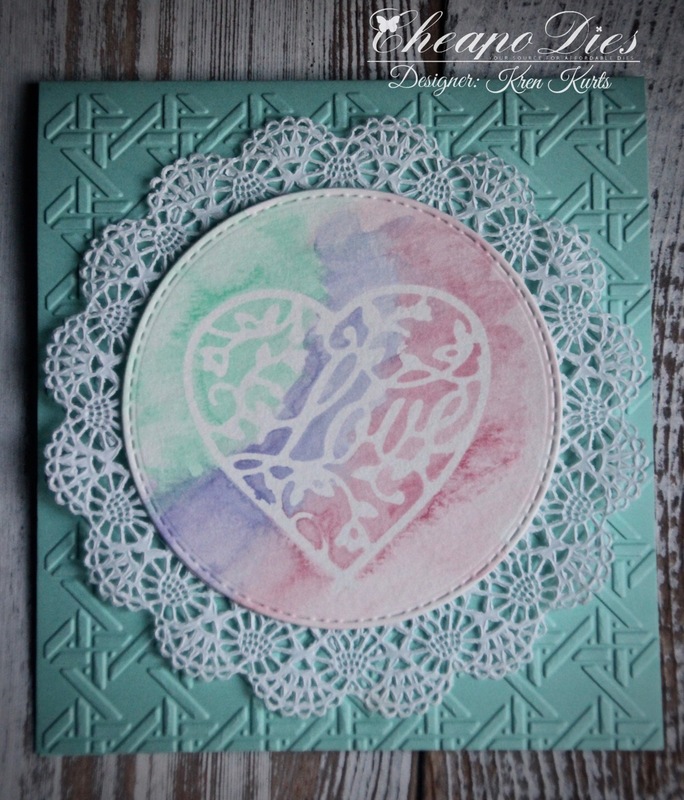 And here's a 5 x 5" card using a doily as a frame. Both of your cards turned out so beautiful! 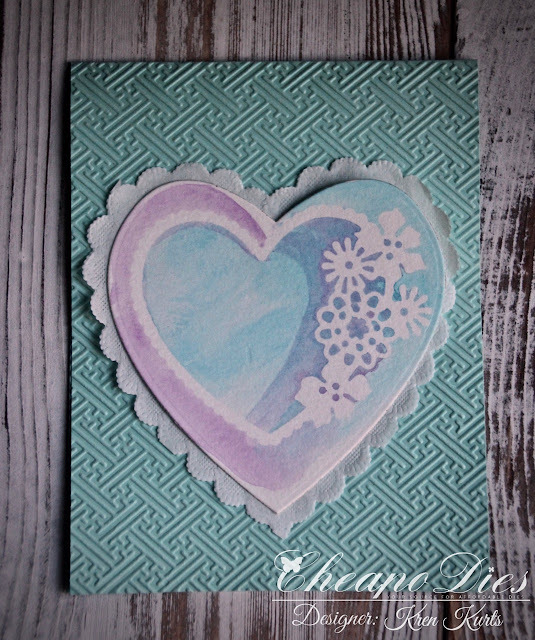 I love the pastel watercolor and the embossed turquoise backgrounds!